The puzzle Rubik’s cube is designed to practice your memory and thinking. It’s becoming more and more popular every year. Except the standard cube 3×3, another types of the puzzle are being developed: 2×2, 5×5, 7×7. They are of different shapes: round, tetrahedron, hexagon, pyramid. 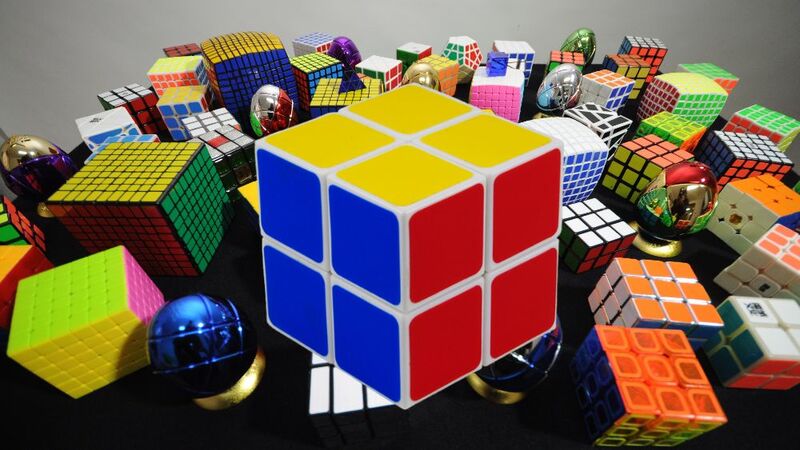 The hardest part of the cube’s solving is to understand where you should start. It all depends on the sequence, which help you to understand how quickly you will solve a Rubik’s cube. 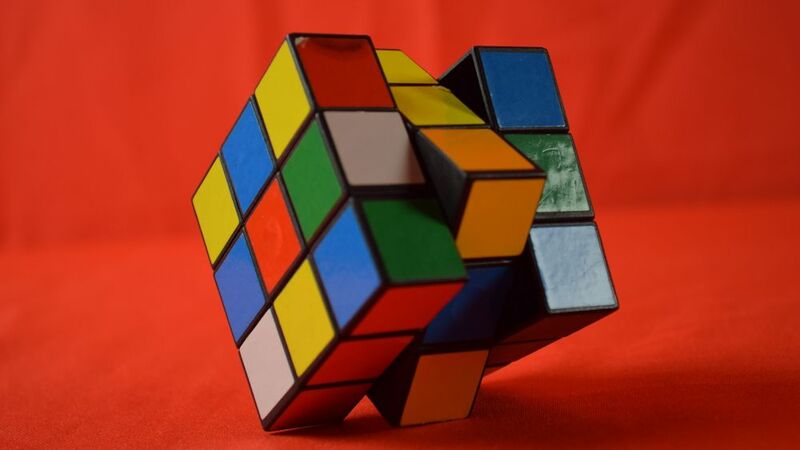 We’ll tell you how to solve a Rubik’s cube 4×4 step by step in this article. Learning the scheme, you can easily solve the puzzle of the high difficulty. Frontal facet (the one you look at). There are more facets here, that’s why the notations are slightly modified. The facets, which are near the corners, are denoted by capital latin letters. Those facets which are inside, are denoted by small symbols. There are two left and two right layers on the frontal facet. (L, l, r, R). There are back and frontal layers on the upper and lower facets (B, b, F, f). There are upper and lower layers on the left and right facets (U, u, D, d). The letter without an apostrophe means turn in a clockwise. The apostrophe which is near the layer notation (for example, L’) means that you should turn the left layer on a quarter counterclockwise. If the letters stand together without a comma, the layers should be rotated simultaneously. The numbers indicate how many times you should turn a particular facet. You should solve each center at the first stage, without breaking the previous one. It’s important to achieve the correct location of the needed colors when turning the inner layers. You should rotate only the outer facets after that in order not to break the centres. First, use the combination: r, f’, r’, F, r, f, r.
Next you should apply the formula for the outer facets rotation: Rr, U, Rr’, U, Rr, U2, Rr’, U2. Sometimes, when you are doing the combinations, the cubes don’t take their places. In this case, the formulas are being applied until the elements will be solved. You need to solve the paired cube’s elements, which are opposite to the centers. You can break the centers at this stage. They will be solved in the end if the sequence was correct. 1. Ll’, U’, R, U, Rr or Rr, U, L2, U’ Rr’. 2. Rr, U’, R, U, R’, F, R’, F’, Rr’. 3. Rr, U’, R, U, R’, F, R’, F’, Rr. 4. Dd, R, F’, U, R’, F, Dd’. 5. U, F’, L, F’, L’, F, U’. Click on this link to remember how to decode the formula. 1. R, U’, l’, U2, l’, U2, l’, U2, l’, U, R’, U, l, U’, R, U, l, U’, R’, U, l2, U (1). 2. L2, d, R2, d, R2, d’, L2, u’, B2, u2, B2, u’, B2, R2, B, r’, B’, R2, B, r, B (2). 3. R’, F’, U, F, R, B, U2, F’, U, B’, U’, F, f, D’, f, D, f’, D’, f’, U2, f, D, f, D’, f’, D, f2, r, f, r, U2, r, f’, r’, f, F’, U’, F2, D, R, U, R’, D’, U’, F2, U2, F, U (3). You can go to another stage when the edges and the centers will be solved. 1. R’ D’ R F2. 3. F U’ R U. You can apply the combinations sequentially. You should start from the upper facet. You should place one of the corner cubes at the bottom, using the so-called formula PIF-PAF: R U R’ U’. It’s used the most often at this stage. The corner is at the top and the white cube looks to the left – F’ U’ F (1). The corner is in the upper layer, the white cube looks to the right. Apply a combination R U R’ (2). The corner is at the top and the white cube looks at the top – R U R’ U three times (3). The corner is in the lower layer and the white cube looks to the left – R U’ R2 F R F’ (4). 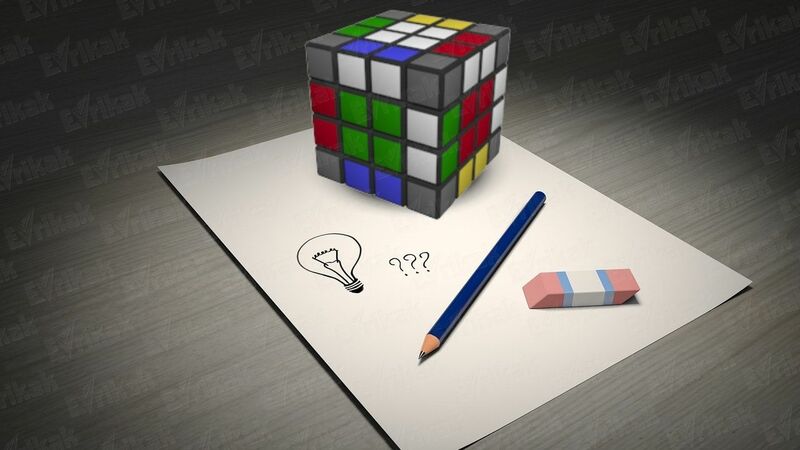 The corner is at the bottom and the white cube looks to the right – R U R’ U’ R U R’ U’ (5). The corner is in the lower opposite layer. You should move it into your layer (6), using the formula R U R’. You should find 4 edges and put them between centers. To do this, choose the color in the upper layer which you will solve the first. Rotate the upper facet until the colors match. Algorithm to the left – U’ L’ U L F’ L F L’. Algorithm to the right – U R U’ R’ F R’ F’ R.
Parity – U R U’ R’ F R’ F’ R U2 U R U’ R’ F R’ F’ R.
Stopper – U R U’ R’ F R’ F’ R. There can be the first or the second situation as a result, where you should use the appropriate formula. 1. F R U R’ U’ F’. 2. F U R U’ R’ F’. If there is only one cube of a needed color in the upper part, apply the first combination at first, then use the second one. Then use the following combinations to make the side completely solved. 1. R U R’ U R U2 R’. 2. R U2 R’ U’ R U’ R’. You should apply the formulas for 2-3 times, alternating them with each other until the layer will be solved. R2 D2 R U R’ D2 R U’ R.
R’ U R’ D2 R U’ R’ D2 R2. Using these formulas, you will return the cubes into their places. If the corner is on a wrong facet, you should rotate the upper layer until the corner will take the right place. 1. R U’ R U R U R U’ R’ U’ R2. 2. R U’ R U R U R U’ R’ U’ R2 R U’ R U R U R U’ R’ U’ R2. 1. R U’ R U R U R U’ R’ U’ R2 U’ R U’ R U R U R U’ R’ U’ R2. 2. R U’ R U R U R U’ R’ U’ R2 U R U’ R U R U R U’ R’ U’ R2. The cube is solved. If you have a good memory, you can learn the solving’s scheme and try to solve the cube on speed. 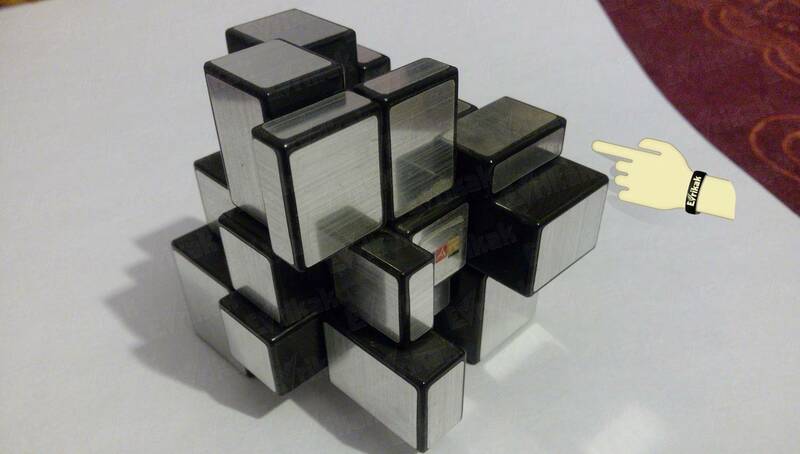 We recommend to watch a video if you are a beginner to make it easier for you to solve the cube.